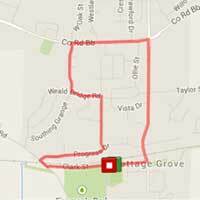 Cottage Grove's Best Little Run! The best little race in the area! 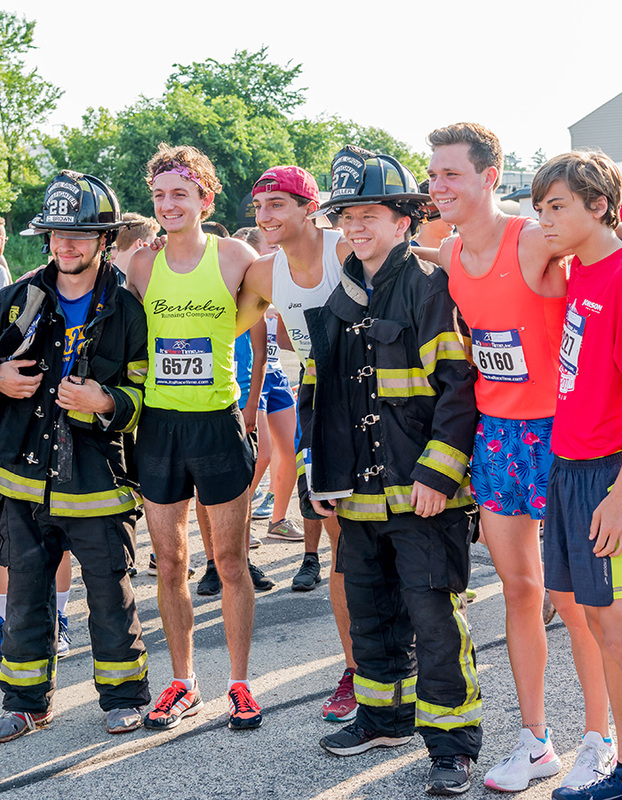 Run side by side with friends, neighbors, elite runners and firefighters in their gear! 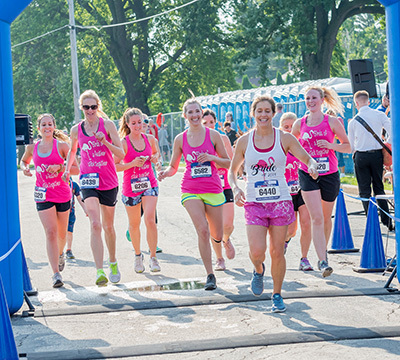 Whether you're aiming to PR a 5k, or complete your very Half Marathon, you are welcome to run with us! 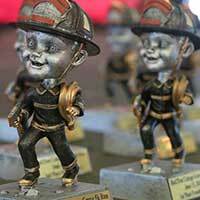 Proceeds of the Hot2Trot benefit the amazing men and women who protect our community by serving on the Cottage Grove Fire Department. 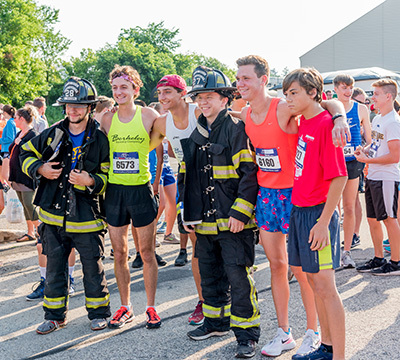 Packet pickup will take place Friday, June 14, from 4:00 - 7:00 at the Cottage Grove Fire Station, 4030 County HWY N in Cottage Grove. Plenty of parking and easy/fast pickup. Walk up registrations will also take place during this time. T-shirts are not guaranteed with walk up registrations. 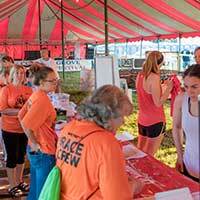 Race day registration and packet pickup will take place under the "big tent" at Firemen's Park starting at 6:00am. 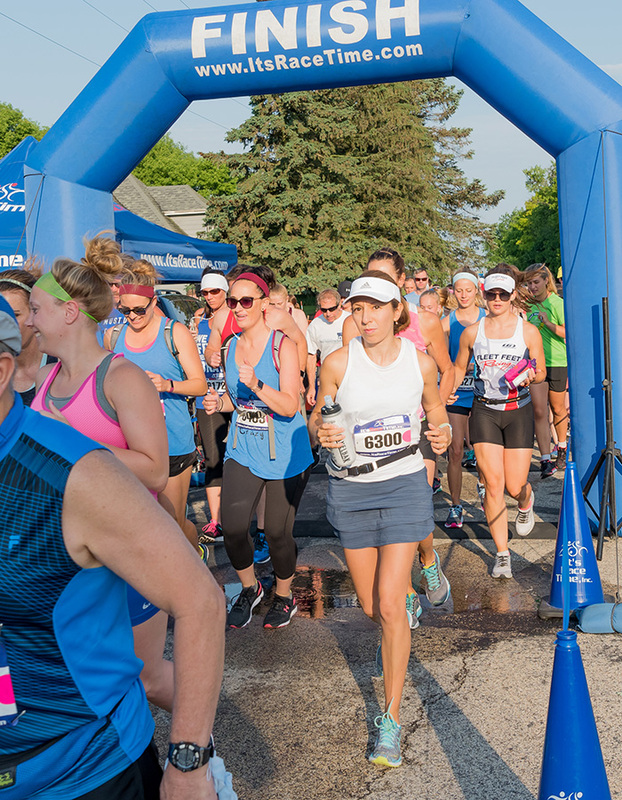 Registration and pickup also available on race day, June 15, starting at 6:00am. 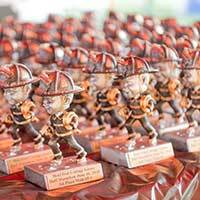 Run fast and win a great bobble head trophy! 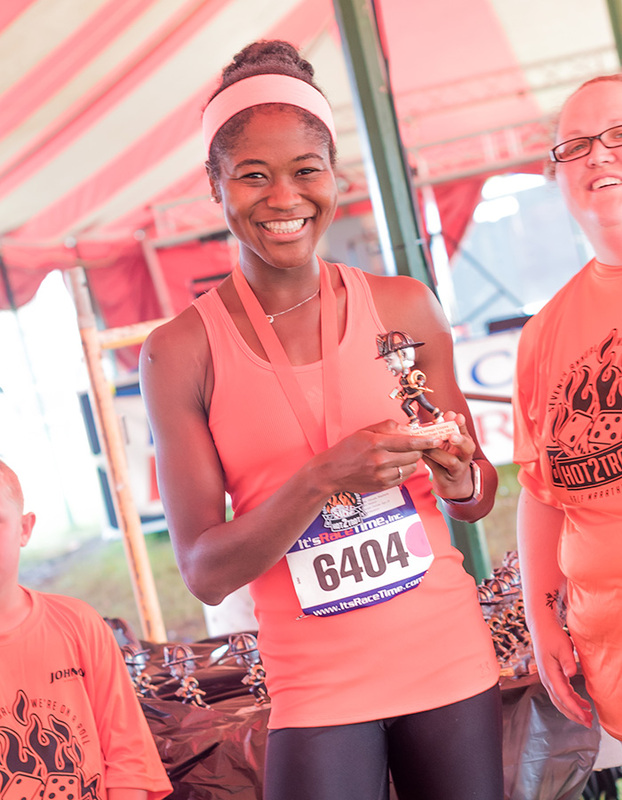 All kids who finish the Kids Run get a custom Hot2Trot medal. 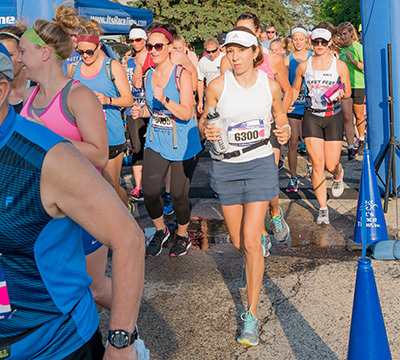 The half marathon course begins on the 5K route and breaks off on Taylor Street to Ridge Road then to the Glacial Drumlin State Trail for about 7 miles. The course then finishes at the starting point on Clark Street. 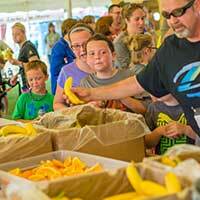 After you finish you can turn right into the big tent for refreshments, check your time, and take in the awards. Click icon below to view full course map. 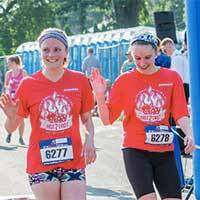 Half Marathon and 5k participants who sign up by June 1 will receive a Hot2Trot race t-shirt. 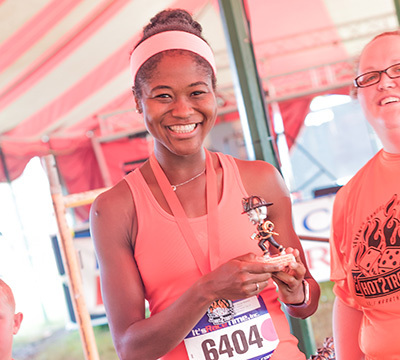 Only a limited number will be available to those who register after, or on race day. 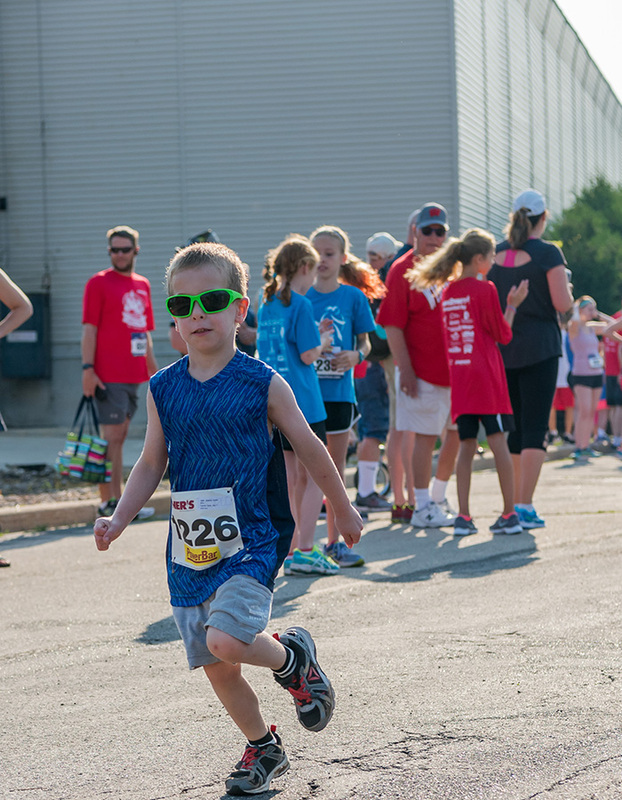 Kids Run participants will receive medals, instead of shirts. Race day registration starts at6:00am. Actual shirt color and design varies each year, and will be different from shirt shown here. Over 80 years of fun. 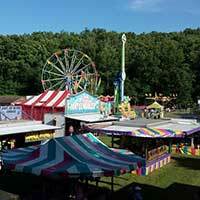 Water and snacks will be available under the big tent. Celebrate your accomplishment with family and friends under the big tent before you head back to Main Street for the big parade. 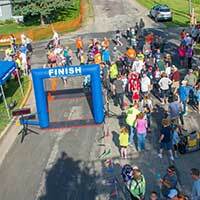 Hang out with your friends and neighbors after the race for refreshments, and a chance to win prizes. 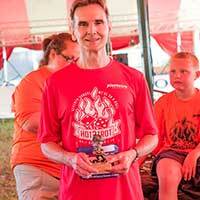 All Hot2Trot races are held at Firemen's Park in Cottage Grove. The park is on the corner of Clark and Grove. There is plenty of parking in the grassy lot just west of the park. 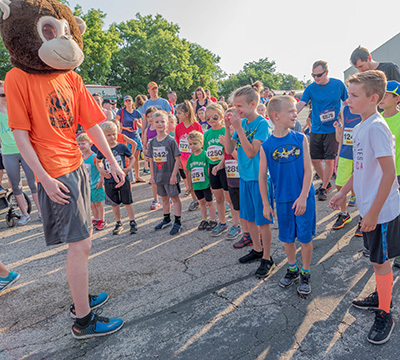 Please arrive at the park prior to the 7:00am start of the Half Marathon. Portions of Clark Street will be closed for safety, and limit your access to the park, and parking. 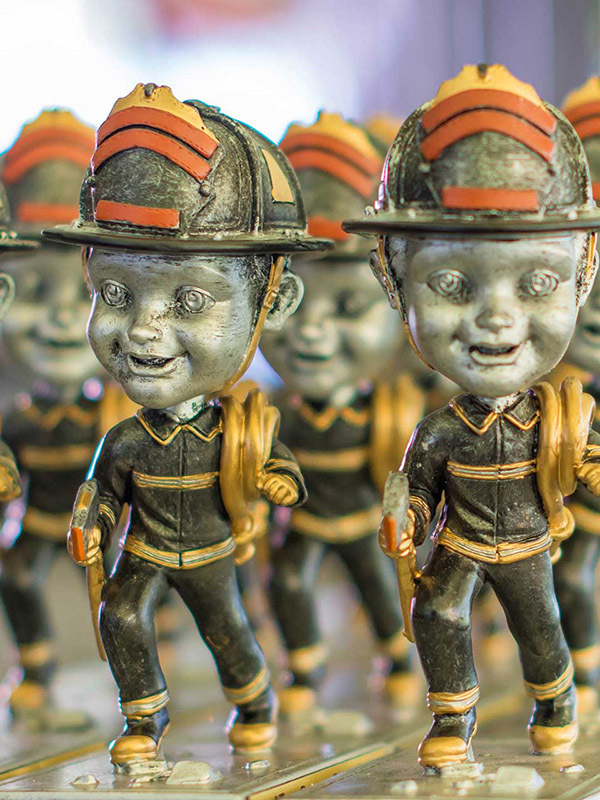 Easy to find us and park at Firemen's Park in Cottage Grove. 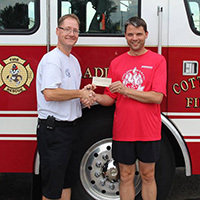 The Hot2Trot and Kids Run proceeds benefit the Cottage Grove Volunteer Fire Department and have contributed over $32,000 in its history. 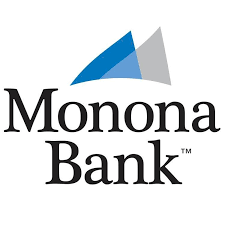 Funds will be used to purchasing equipment, and continue educational programs. Smile! 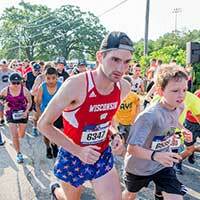 Race photos available on our Facebook page after the race. Grab your friends and have your photo taken in front of our "logo wall"! 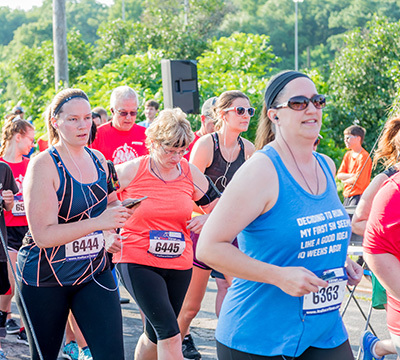 Join us for the for the Hot2Trot event. 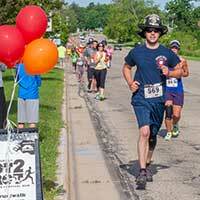 Support the Cottage Grove Fire Department while running along with your friends and neighbors. 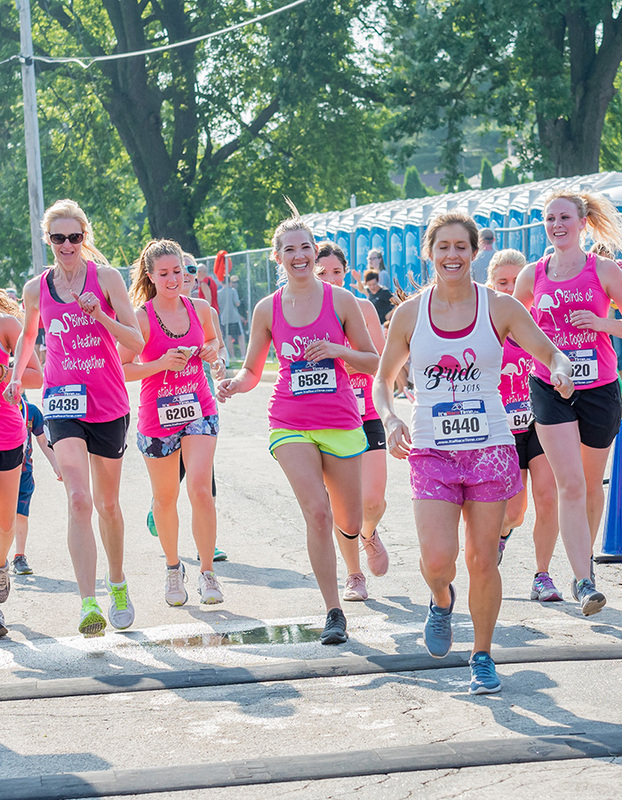 Partner with us for the 2019 Run! 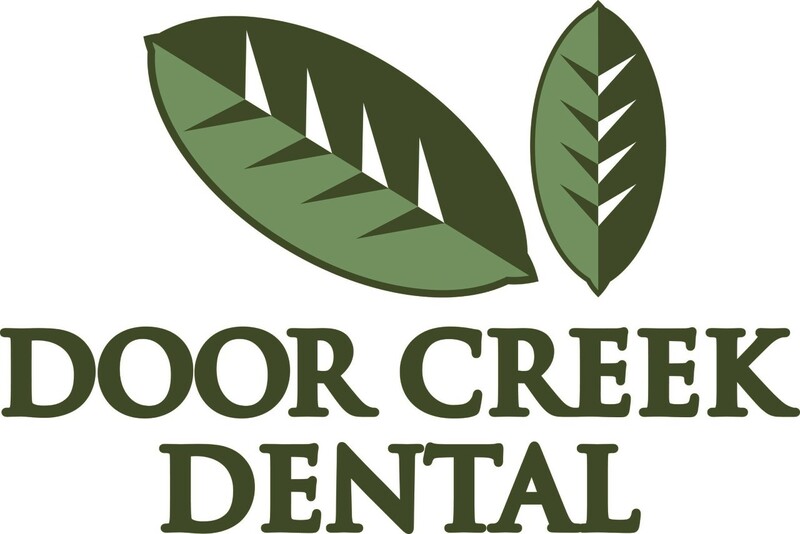 We could not put on the Hot2Trot event without the generous support of our sponsors. 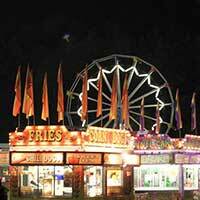 Please patronize our Sponsors, and visit their web sites. They are helping us to promote health, fitness and fun! 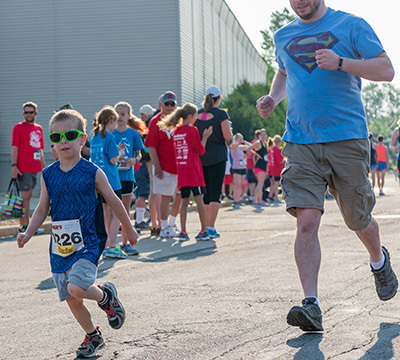 We need lots of help to put on the Hot2Trot Half Marathon, 5k and kids run. 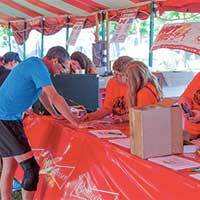 Volunteers are needed to help direct runners on the course, hand out water, help with registration, and other duties. 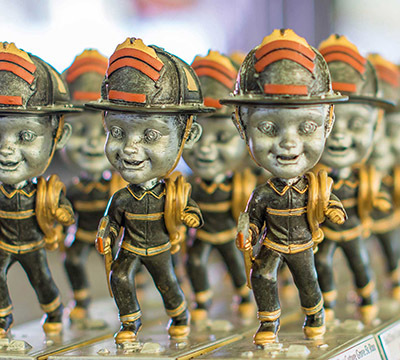 In return for your help, we can offer our sincere thanks, and a volunteer t-shirt. 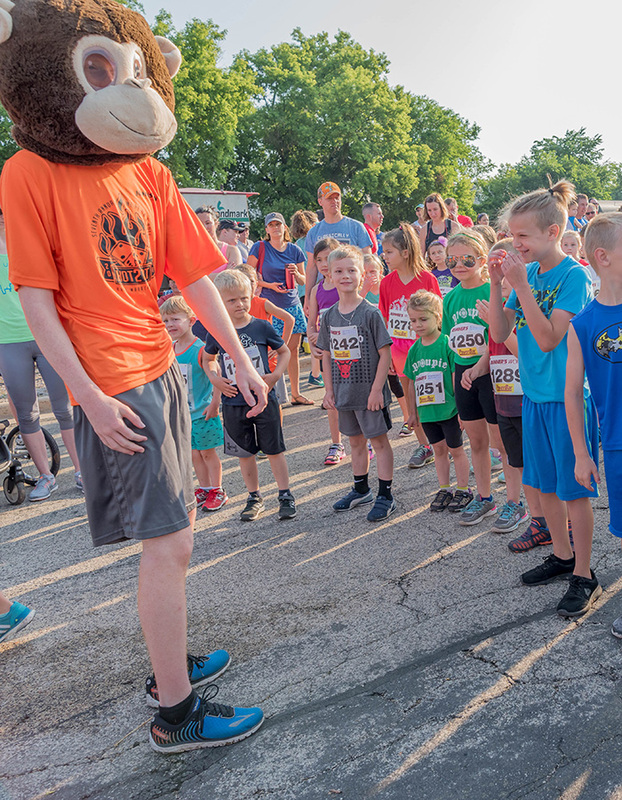 It's fun to be part of race day! Fill out the form, or use the email link below for more information on how you, or your group can help. 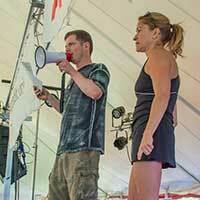 We have taken several steps to keep your safety the highest priority so you can run with confidence during the event. 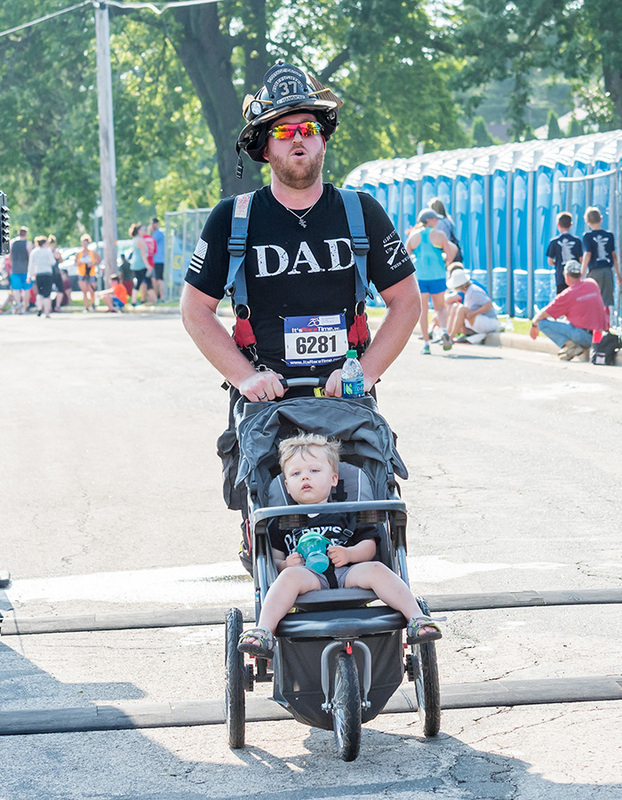 Volunteers are placed throughout the Kids Run, 5K, and Half Marathon courses to ensure you are safe from traffic as well as receive the hydration you will need throughout each of the courses. 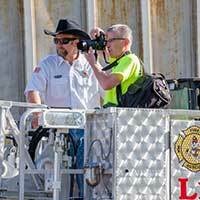 Hot2Trot has adopted and instituted the Event Alert System, or EAS. 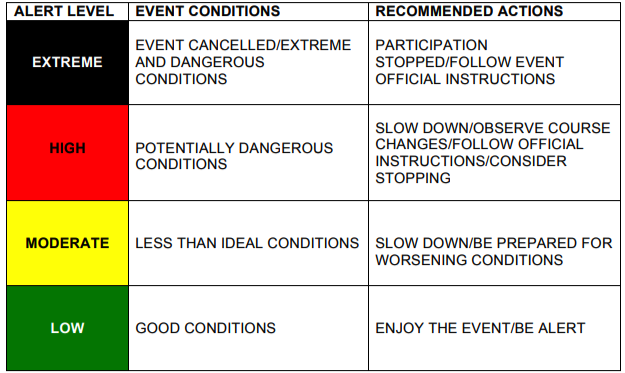 It is a color-coded method of quickly communicating to participants the potential for adverse weather conditions that can affect the race event. Volunteers on the course will use color coded flags to indicate conditions on the course as they change. Color code conditions as outlined right. 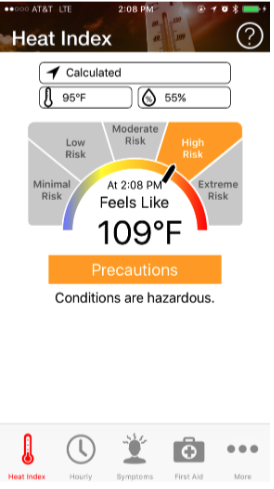 If you care to learn more about this tool or wish to install it on your own phone for reference anytime you run here is the link: https://www.cdc.gov/niosh/topics/heatstress/heatapp.html Please take the time to review these systems before you run. 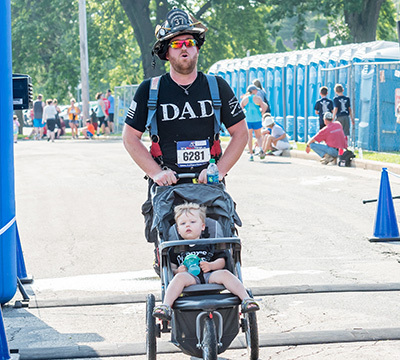 We want to ensure you have a safe and fun run and return each year to set a personal record! 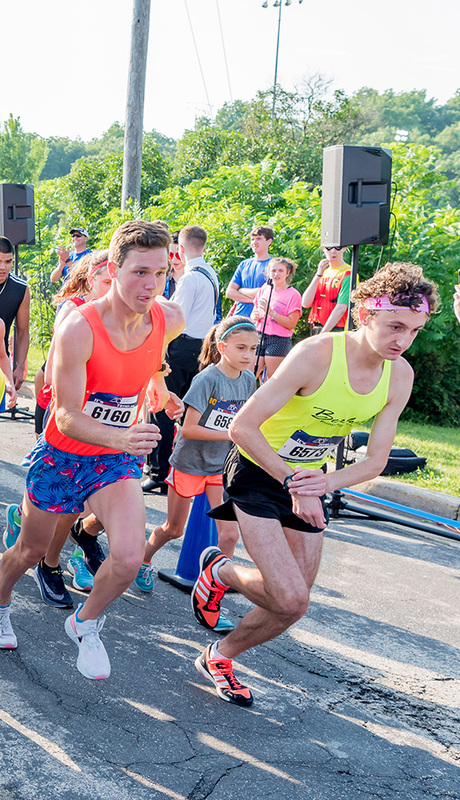 In just eight weeks, you'll be ready to run the Hot2Trot! 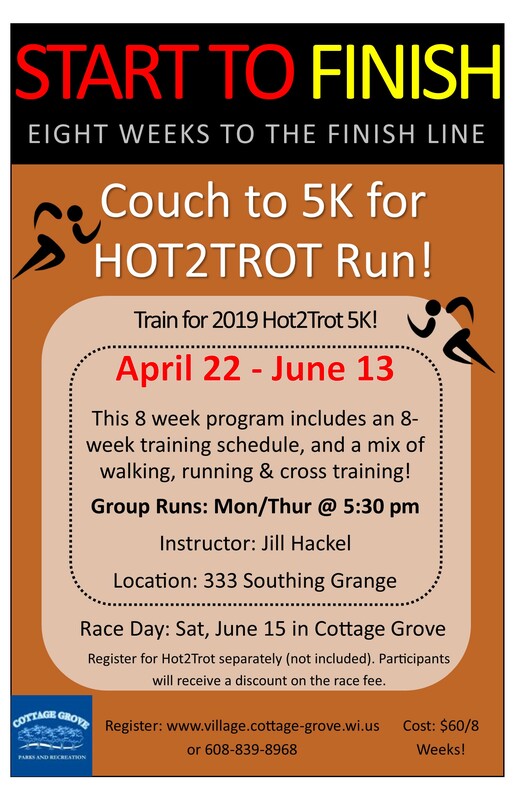 Whether you are brand new to running, or need to ease back in, this is a great program. 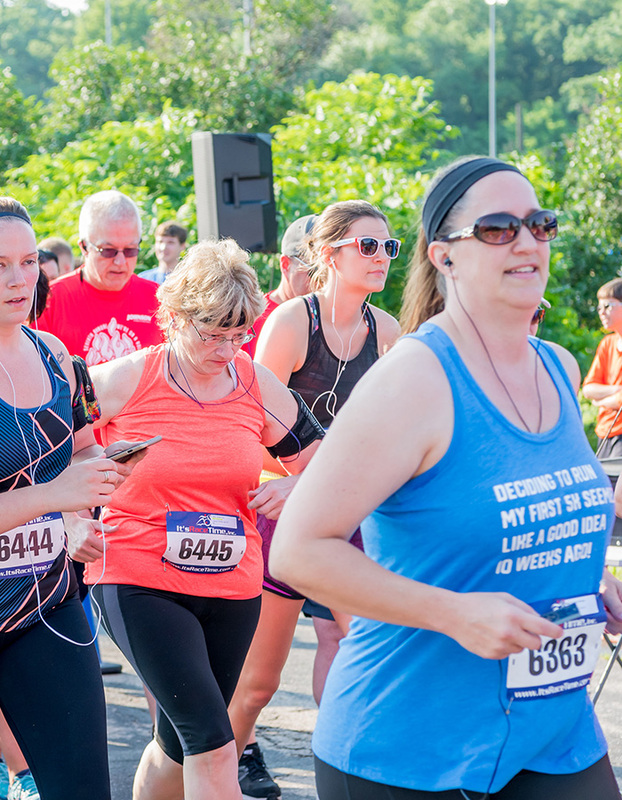 Bring your friends, and make new ones, as you build distance and endurance each week.